Important Information: ALL ORDERS as of 8/9 will need to pickup their lofts at our location during move in on 8/18. The order deadline for delivery of units to your room has passed. Lofts will also be available to rent during move in on 8/18 from 8am - 5pm. Limited lofts will be available also on 8/15 from 9am - 1pm. Location is: Presidential Square area. Checks or cash only for orders during move in. 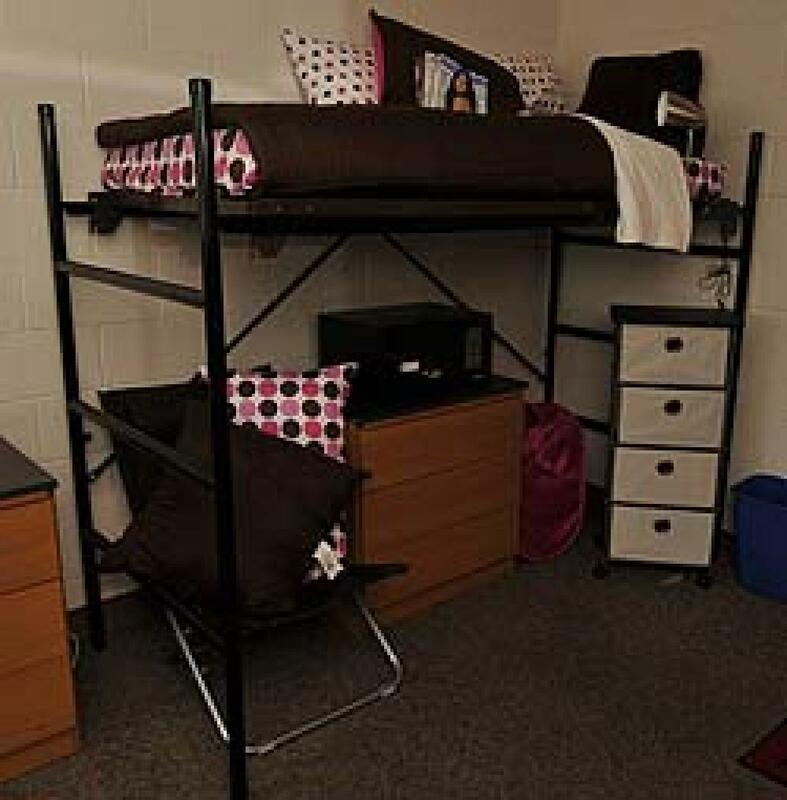 Lofts can be used in North Carrick, South Carrick, and Reese Hall. Collegiate Concepts, Inc. introduces LoftConcepts. LoftConcepts is designed to fit your specifications for existing bed frames & Mattresses. Made of heavy duty gauge steel, painted with the most advanced powder coating technology for a glossy & durable finish. Safe, sturdy and attractive. 16 gauge tubular steel construction. Powder coat painted for a glossy, but tough exterior. No tools required! Easy assembly, sets up in minutes. Adjustable. The height and length are made to your specifications, and can even be made "bunkable". Room friendly. Free standing design no attachments to the walls or ceiling. Convenience. The loft is delivered to the school. No wood to saw or drill. Just three simple steps!